I am more and more impressed with Seoul every day. There was an enormous “Multicultural Festival” in the plaza in front of Seoul City Hall dedicated to making Seoul a more open and tolerant place for people from around the world. In the middle of that exhibition I came across this table. 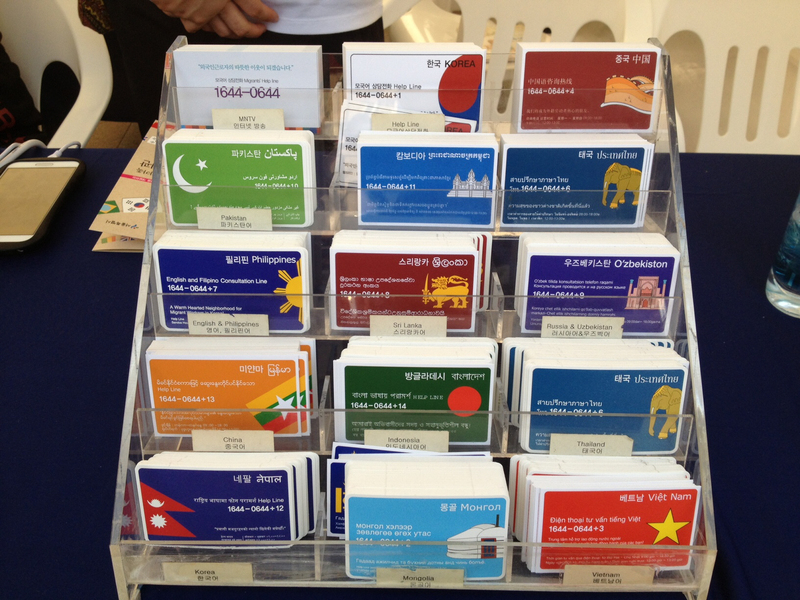 These cards, in fifteen different languages, have a number that workers who do not speak Korean can call to get advice and legal help concerning their status in Korea and possible problems they may have with their employers regarding wages or other issues. Although I cannot say how effective the services are, never having called, the very concept and the effort are quite inspiring and suggest a new facet of contemporary Korea.